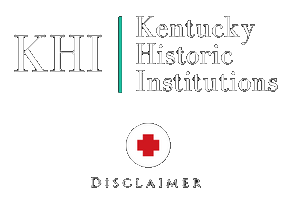 Kentucky Historic Institutions was founded in 2016 by four dedicated and passionate friends. We have spent years compiling research; however, this work did not begin with us. The Lunatic Asylum of Kentucky (Eastern State Hospital) was founded by a group of Kentucky citizens who wanted to provide a safe place for the poor and indigent to be welcomed. Centuries later, physicians, nurses and advocates, including Dorothea Dix, have fought for moral and humane treatment of those with mental illness. Eastern State Hospital nurse Majel Moore began preserving memories and events from the hospital during her tenure in the middle of the 20th century. Decades later, another Eastern State Hospital nurse, Mary Hatton, came together with Bruce Burris, Phil Tkacz and others. This group has compiled thousands of documents, photographs and memories (with nearly as many hours). We will update this list regularly and we apologize if we have left anyone out. Know that your work is meaningful and has made a difference and we are truly grateful.